Forget massive headsets. An art exhibit in Prague is helping blind and visually impaired users to touch artwork in virtual reality thanks to special gloves. The project began with the work of Neurodigital Technologies, a Spanish VR startup working in tandem with the Leontinka Foundation for the blind and visually impaired, Geometry Prague, and the National Gallery. 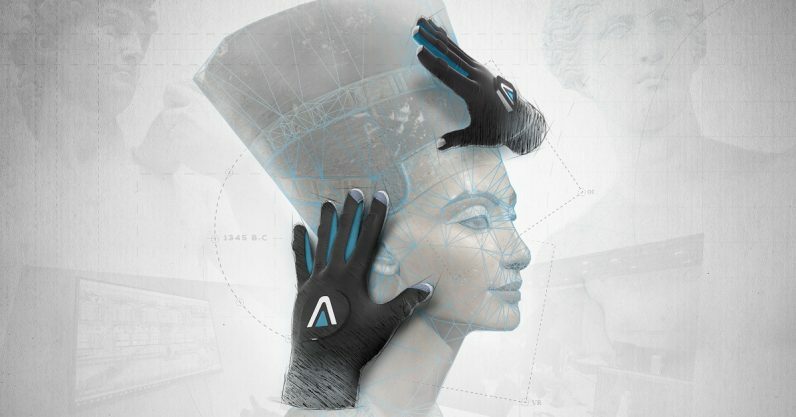 Neurodigital began development on its gloves in 2015, with a successful Kickstarter campaign. Blind children are usually taught in school with relief aids and tactile pictures that far from accurately reflect reality. This new technology is an incredible breakthrough allowing pupils to touch what was absolutely unattainable before. So far, Touching Masterpieces has modeled three pieces of historical art: the bust of Nefertiti, Venus de Milo, and Michelangelo’s David. According to a spokesperson with Geometry Prague, the three statues were chosen for their artistic merit and because the human forms are recognizable for users who might otherwise be thrown by the new experience. The haptic gloves are sensitive enough to show the difference between various kinds of materials. Those who use them will be able to tell if the artwork is smooth, rough, or textured. Some of the fine details may be lost, but a spokesperson for Geometry says it is still refining the tech. Geometry has also put the digital models on the Touching Masterpieces website so that other developers can build off the work.